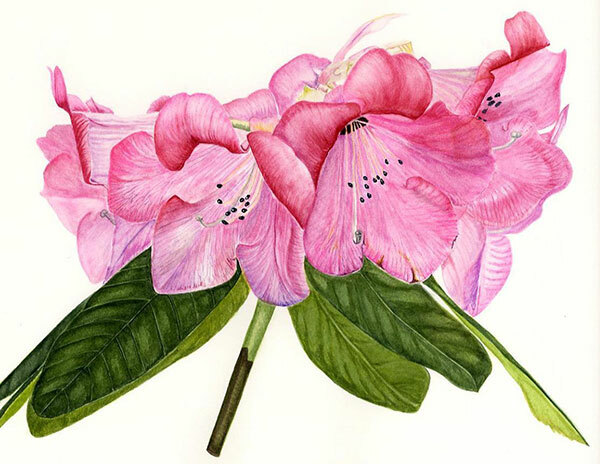 Fiona was attending a course on Plantsmanship at the Chelsea Physic Garden when, on a coffee break, she discovered the Botanical Painting course run by Anne-Marie Evans. She later attended the Beginners course, which was her first encounter with the medium of watercolour and was hooked. Fiona was a leading head hunter, successfully running her own firm for over 20 years. 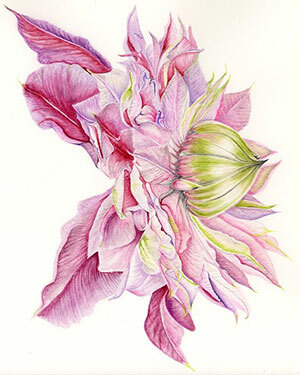 However she had a long term plan to retire early in order to pursue her passion for Botanical Painting. In late 2008 she was able to take early retirement and at the start of 2009 commenced studying for a Diploma in Botanical Illustration from the English Gardening School at The Chelsea Physic Garden. She was delighted to gain her diploma in 2011. Fiona is now following her passions of painting and gardening with each enhancing the other.